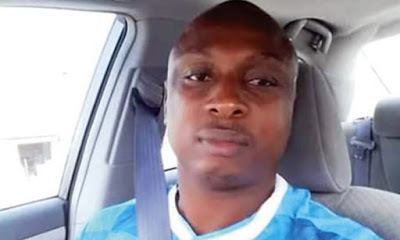 The Treasurer of the National Union of Road Transport Workers, Jibowu-Yaba Branch, Alowonle Asekun, has been killed by hoodlums in the Grammar School area of the Ikorodu Local Government Area of Lagos State. Punch Metro gathered that Asekun, while on his way out of the Ajasa-Lamberu Street in the Grammar School area, was accosted by the hoodlums, who reportedly shot him to death in front of the First Atlantic School on Friday, February 8, 2019. Eyewitnesses, who spoke to Punch correspondent at the scene of the incident, said the hoodlums trailed Asekun to the area, adding that the news of his death had caused panic in the Jibowu and Fadeyi areas of the state. The taxi driver said, “I was in my wife’s shop when the incident happened. Before the hoodlums carried out the attack on the man, I observed that about four boys, who wore fez caps, parked their motorcycles and walked around our street for over one hour. Around 2pm, Asekun was on his way out when they attacked him and shot him three times till he died. Asekun’s wives, when contacted, demanded justice over his death and tasked the police to apprehend the hoodlums, who perpetrated the act. “I don’t want his death to be in vain; he was my only hope,” Anuoluwa, the second wife and mother of one said. The Provost Marshal, Onyabo Vigilante Group, Olabinjo Olanrewaju, while blaming residents for not informing the outfit early enough when the hoodlums were roaming the area, said the remains of the deceased were recovered and taken to the Ikorodu Division Police Station. The state Police Public Relations Officer, CSP Chike Oti, who confirmed the incident to Punch correspondent, said two people had been arrested in connection with the crime, adding that the state Commissioner of Police, Zubairu Mu’azu, had transferred the case to the homicide section of the State Criminal Investigation and Intelligence Department, Panti, for further investigation.